Gold Dredge - Nome, Alaska - Watercolor on paper 20in. X 28in. 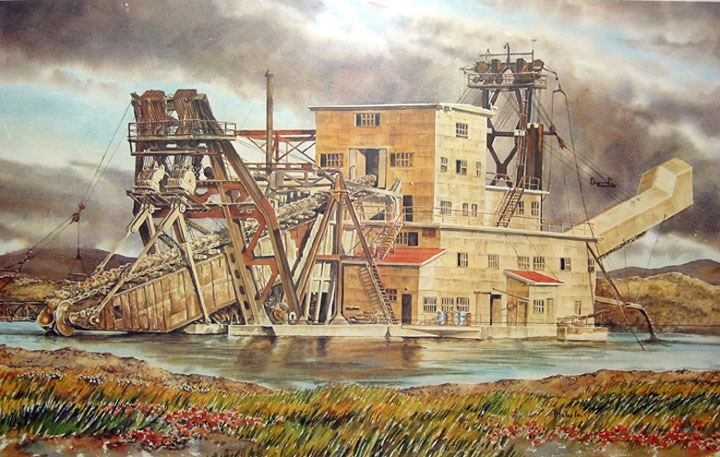 A painting that was made for Alaska Gold Company of one of their gold dredges.